= Velesunio wilsonii (Lea, 1859). — Walker et al. (2014). = Velesunio wilsonii (Lea, 1859). — Zieritz et al. (2013). 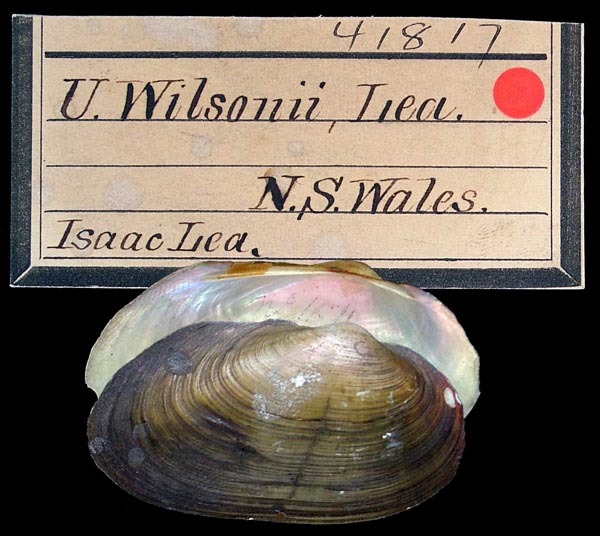 = Velesunio wilsonii Lea, 1859. — Bogan (2010). = Velesunio wilsonii (Lea, 1859). — Graf & Cummings (2007). = Velesunio wilsonii. — Baker et al. (2003). = Velesunio wilsonii (Lea). — Walker et al. (2001). = Velesunio wilsonii (Lea, 1859). — B.J. Smith (1992). = Velesunio wilsonii (Lea, 1859). — Haas (1969). = Velesunio wilsonii (Lea, 1859). — McMichael & Hiscock (1958). = Velesunio wilsonii (Lea, 1859). — McMichael (1956). 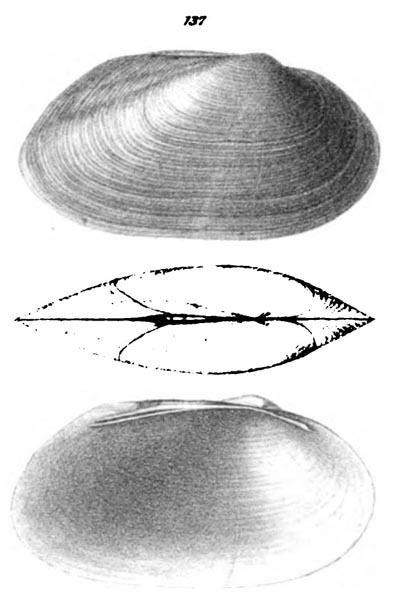 Unio (Alasmodon) stuarti Adams & Angas, 1863. Adams & Angas, 1863, Proc. Zool. Soc. London: 417. 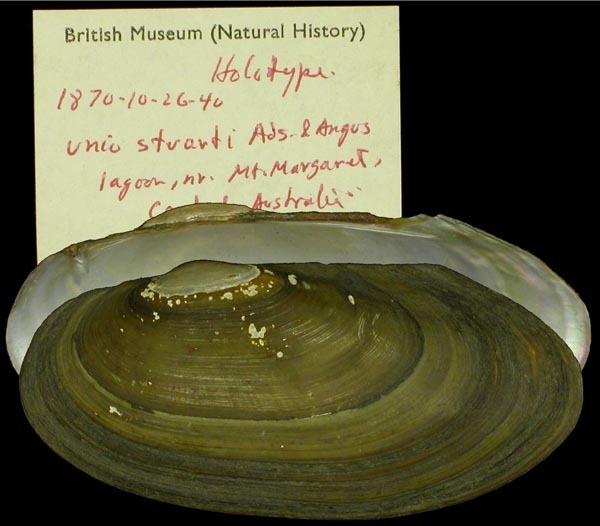 Type(s): HOLOTYPE BMNH_1870-10-26-40, Lagoon near Mt. Margaret, Central Australia. ‘Tate’ Frierson, 1908, Nautilus: 118. 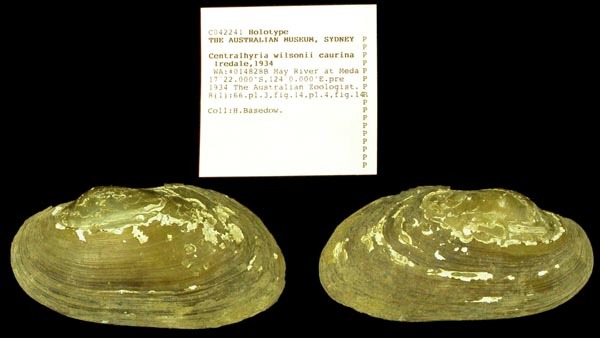 Hyridella anodontaeformis R.I. Johnson, 1948. R.I. Johnson, 1948, Nautilus: 47.